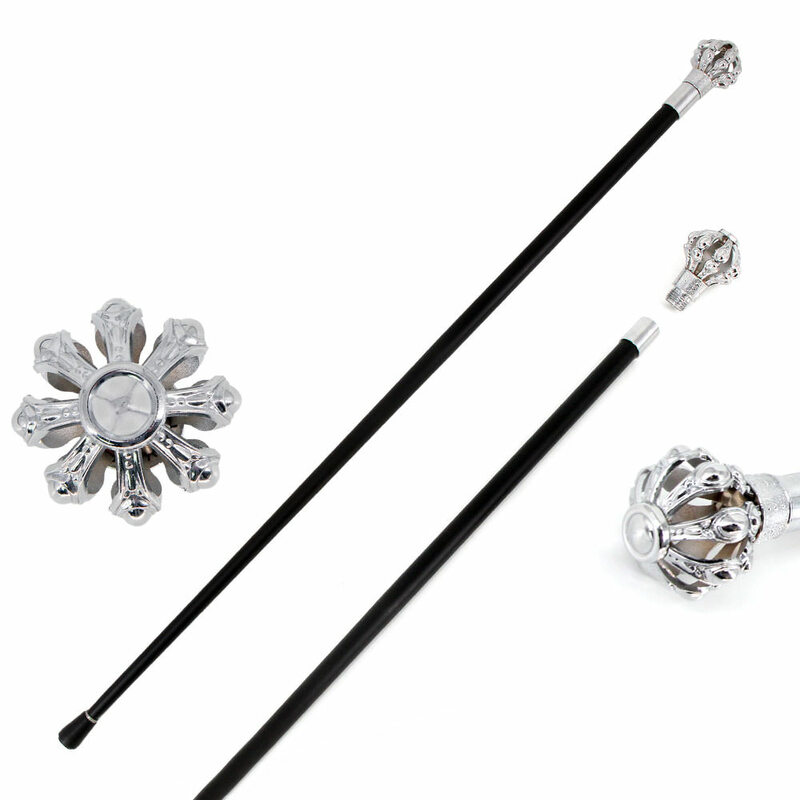 Our 37 Inches Silver Crown Walking Cane has a aluminum handle with impeccable detailing. The shaft is constructed of steel. The bottom of this cane features a rubber stopper to help balance and prevent slipping.